Tonight is a special night for a few Bowls BC members at the 51st Sports BC Awards. The Annual Awards Ceremony and Gala dinner is set for Wednesday, March 8, 2017 at the Fairmont Waterfront Hotel. The ceremonies will recognize BC’s best in amateur sport including athletes, coaches, and officials for outstanding performances in their sport over the 2016 season. Each finalist was nominated by their Provincial or Multi-Sport Organization, High School, College or University. George Cubiss will be honoured as he will receive the Presidents Award. The Presidents’ Award is presented annually to volunteers from Sport BC member organizations who represent the spirit of volunteerism, and whose dedication, energy, and commitment contribute to development of their sport or organization. Sport BC member organizations are eligible to recognize one volunteer per year. 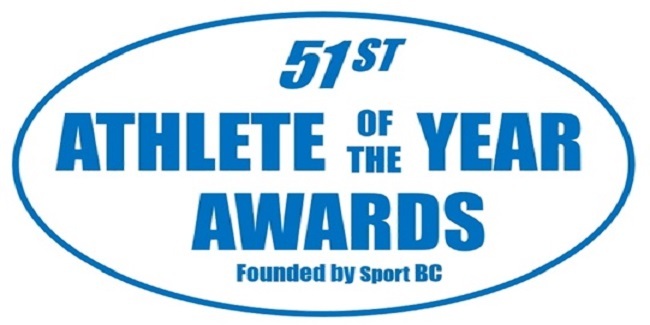 Athletes Mary Wright and Pricilla Westlake, are nominated for Sport BC Athletes of the Year! Congratulations to Mary, Pricilla and George for representing our Province so well throughout the years. Your years of dedication have made a significant contribution to the sport in British Columbia. Sport BC, on behalf of the BC Sport community, has proudly announced the outstanding amateur athletes, coaches, and officials, named as finalists for 14 of the 18 award categories to be presented at the upcoming Athlete of the Year Awards. We are proud to be the longest standing sport recognition event in Canada and this year signifies a historic achievement for sport with our 51st anniversary. The Selection Committee, chaired by Bernie Pascall, included 15 highly regarded sportswriters, broadcasters, and amateur sport leaders in British Columbia. “A large number of highly qualified nominations for each of the categories were received this year,” notes Sport BC President & CEO, Rob Newman. “Each year the Athlete of the Year Awards recognizes the talented and deserving athletes, coaches and officials. This year’s nominees in all the award categories are certainly a testament to the strength and depth of sport development in our province over the last 51 years. Each year, we are grateful for the support and contribution of our sport and business partners and volunteers.” Finalists for the 2017 Sport BC Athlete of the Year Awards represent 18 sports from 21 various cities and are noted below. An additional four awards will be presented at the ceremony including the Best of BC, KidSport BC Community Champion, Harry Jerome Comeback and the Daryl Thompson Lifetime Achievement Award.